With all the major mountain ski resorts open for the season (and reporting excellent snow conditions for this time of year), our attention turns to driving in winter weather conditions. If you’re planning a winter wedding in the mountains, you are no doubt watching the weather very closely!! Likely you planned your wedding in winter because you’re dreaming of a “white winter” wedding; your guests may not all be as excited, especially if it means driving in winter conditions. Weddings are a time for celebration and we all want guests to arrive safely at their mountain destination, so I’ve decided to post Tip #12 – Consider road conditions on the mountain highways especially in the winter from our popular series 30 Tips for Planning A Canadian Rocky Mountain Destination Wedding in Banff, Canmore, Lake Louise and Jasper to help get your guests get safely to your winter wedding. Check in tomorrow as we have some fresh new tips for planning a Winter Wedding! 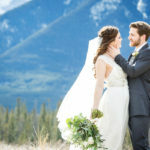 For the next few weeks, we will be re-capping some of our most popular posts from our 30 Tips to Planning a Canadian Rocky Mountain Destination Wedding in Banff, Canmore, Lake Louise and Jasper series. These posts generated so much interest, so we decided to re-cap some of the tips in case you missed them. Once the busy wedding season is over, we’ll be posting not only about some of our wonderful couples’ weddings, but also more helpful tips! 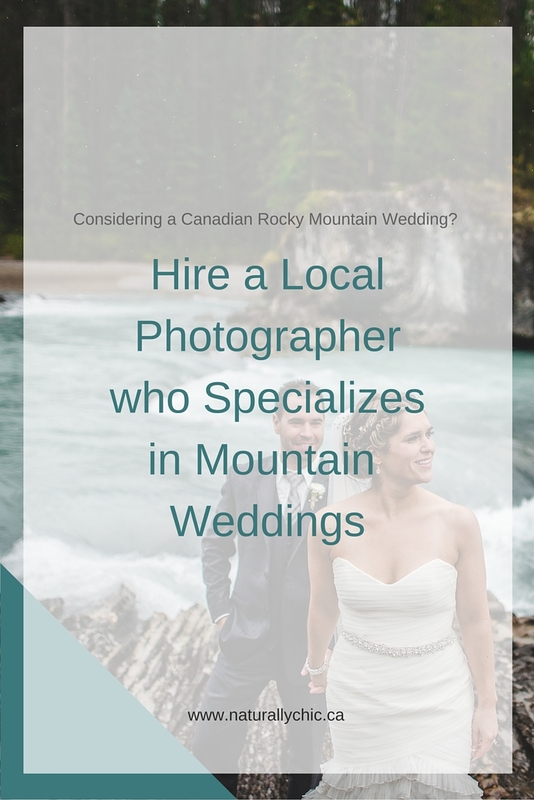 Planning a destination wedding in the Canadian Rocky Mountains can be a little more complicated than planning a wedding at home. We’ve been sharing tips that will help you plan and organize a memorable wedding in the mountains. Tip #2 – Consider an “all in one” venue to have your ceremony, reception and guest accommodations all in one place. Not only is this a great eco-friendly option for the environment, but it makes it easier for guests who have flown into the region and either don’t know the region well or are without a vehicle. Your guests will find it easy to get from the ceremony to the reception and they can even take a break in their hotel room if they desire. Most of these all inclusive venues will offer all sorts of activities nearby or on site for your guests such as; hiking, golfing, dining, shopping or even relaxing spa treatments (great for getting wedding day hair and make-up done too)! 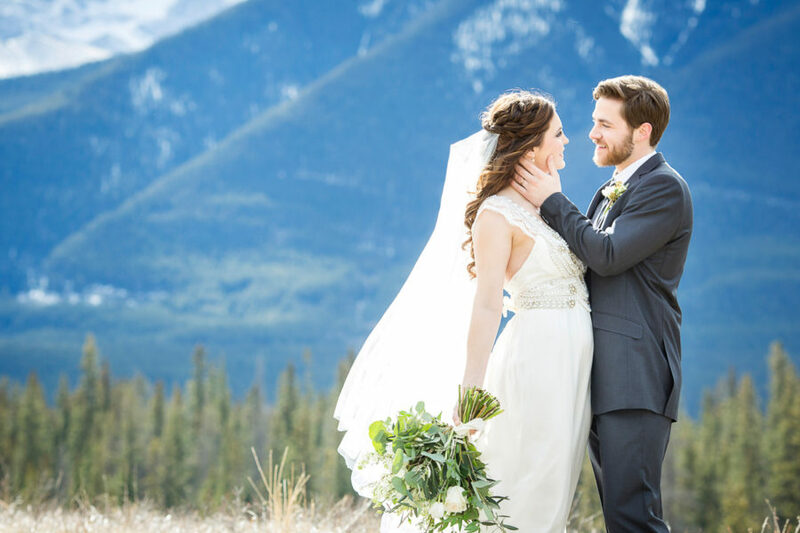 Not only that, you may even find that your guests will have more opportunity to mingle and get to know one another than if they were staying at all different locations throughout Banff National Park. 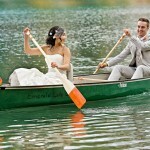 A couple of our favorite all in one venues in the Canadian Rockies are: Emerald Lake Lodge in Field, B.C. ; The Rimrock Resort in Banff, Alberta; the Fairmont Chateau Lake Louise in Lake Louise, Alberta and the Fairmont Jasper Park Lodge in Jasper, Alberta. All offer stunningly beautiful scenery, first rate meals, accommodations and a wide variety of activities for you and your guests. And if that weren’t enough, they’re all pet-friendly! You can read about Tip # 1 here. 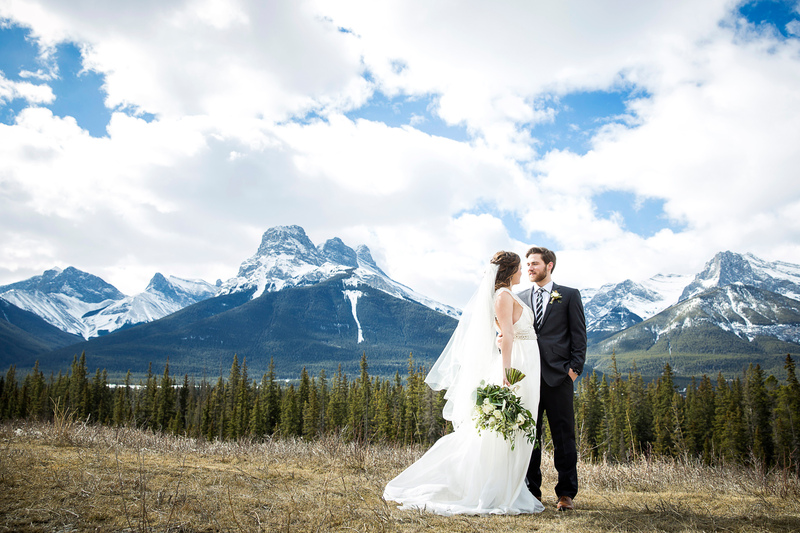 Contact Naturally Chic for assistance with your Rocky Mountain Wedding at 1.888.679.9056 or at info@naturallychic.ca. Emerald Lake Lodge in Field, BC has to be one of the most beautiful, romantic places on the planet for a winter wedding! If you love nature, snow and rustic mountain lodges, you will instantly fall in love with this place. 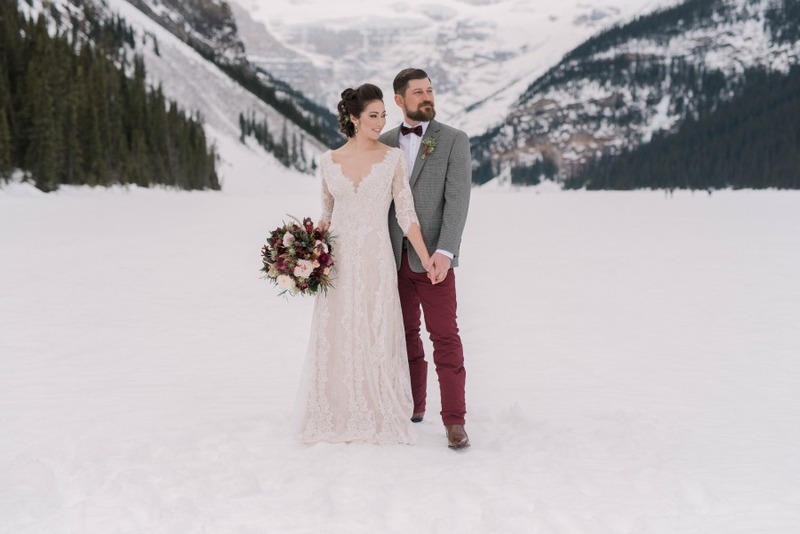 Although equally magnificent in summer, winters at Emerald Lake Lodge have a quiet, unparalled beauty that is absolutely perfect for intimate, romantic weddings. 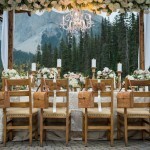 At the January 2011 Wedding Fair in Calgary, Emerald Lake Lodge was my inspiration for a romantic, rustic winter wedding booth. It was there that I had the immense pleasure of meeting the extremely talented Kirstie Tweed of Orange Girl Photographs. I have long been a fan of her artistic talent (Kirstie’s images have been featured in Martha Stewart Weddings and Real Simple Weddings magazines, as well as some the most fabulous wedding blogs such as Style Me Pretty). I was thrilled that she stopped by the Naturally Chic booth and loved all of the details we created. Well, one thing lead to another, fast forward a couple weeks and Kirstie had arranged for this fabulous shoot to take place at one of her most favorite locations, Emerald Lake Lodge. We packed up all of the decor we hand-created for our booth and headed of to BC! I was not only able to work at and enjoy this magical venue, but I was able to work alongside Kirstie and the amazing team she assembled (did I say they were all the nicest people). It was a fun, snow-filled adventure and I am so sincerely grateful to have had this experience. Thank you Kirstie and Emerald Lake Lodge! Check out Orange Girl Photographs for many more of her stunning images. Kirstie will be blogging about it all week long! Crocheted Silver Table Runner from Great Events Group.